First off, get ready for some of the cheesiest pics ever to appear on my blog, nay, on all the blogs ever. 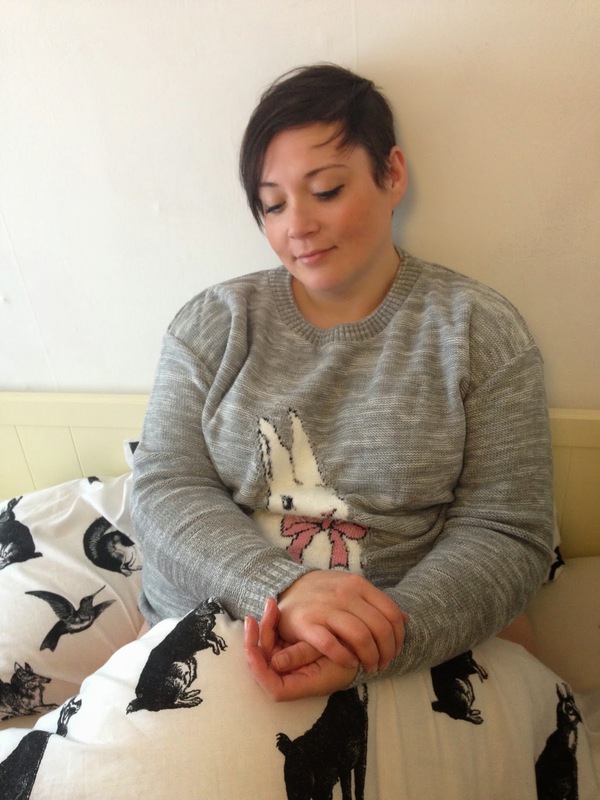 I was sent this jumper by Yours Clothing, who would love to give you the chance to win one of your own (hopefully) in time for easter. I'd been shooting some underwear for an upcoming post when I decided to chuck the jumper on because I was a chilly, and for some bizarre reason just thought, sod it, impromptu bed shoot. I know, cheesy as hell, but such a playful jumper deserved some fun pics. So there you have it! So for your chance to win this jumper in a size of your choice, just follow the instructions on the rafflecopter below! This is a flash give-away, it will be drawn midnight on Wednesday, so hurry!!! 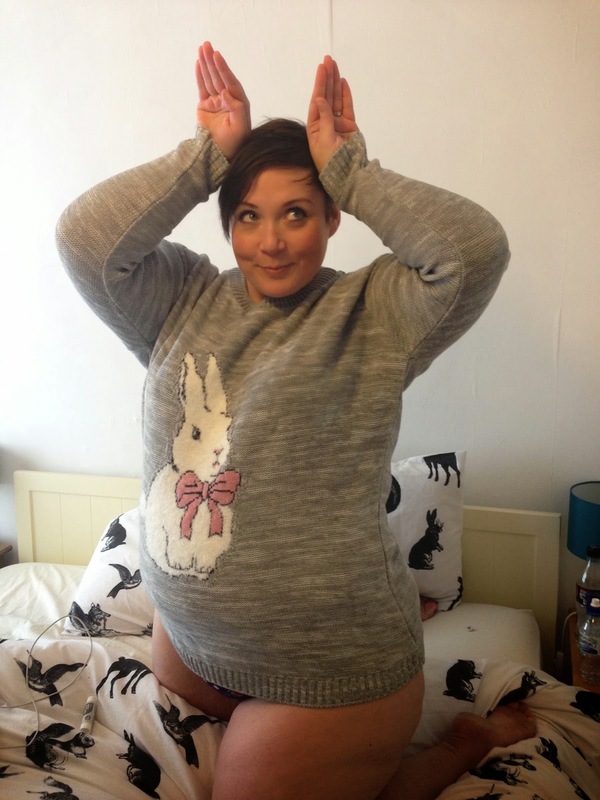 This jumper is ace, I saw it on the website the other day... and now it resides on my wish list! Great pictures and a wonderful jumper. This jumper is super cute! Such a fab giveaway. "I have a feeling, it could be bunnies....!" Sorry had to quote a Buffy the Vampire Slayer moment in there! Cheesy or not I love this post! You always make me laugh. I need this jumper!! Love it! So damn cute. The weather is just starting to turn here in Australia and I could definitely wear this jumper over Easter. I've been ummming & arhhhing over this!! What a sweet jumper. Love it!